Well it looks like levidrome is hitting the news again. Not only did we publish an article to celebrate one year since the levidrome video was published, but so did Times Colonist, the Oakbay News and Victoria News. All these stories were published on October 9th, 2018, the "Birth Date" of levidrome. In the Times Colonist article, Cindy E. Harnett recaps many of the hilites which occurred throughout the past year. She mentions that levidrome "appeared in newspapers in South Africa, Japan, China, Australia, New Zealand, Ireland, India, Spain and Singapore". In the Oakbay News and the Victoria News articles, Christine Van Reeuwyk writes a quote from Lucky (Levi's dad), stating "We have transcripts from radio shows discussing them in New Zealand, Australia, Germany. And we are seeing lists of Levidrome words in well over 20 languages including French, Italian, Russian, the languages of the Philippines.". Quite the world trip, and quite the global presence. 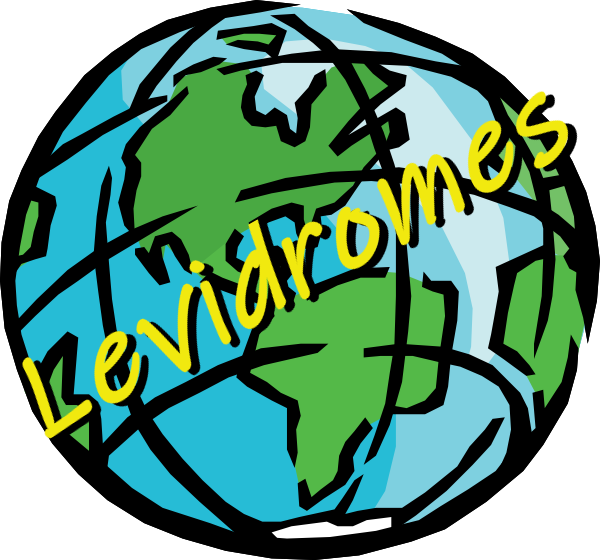 We are proud to be able to provide levidrome lists in many different languages!